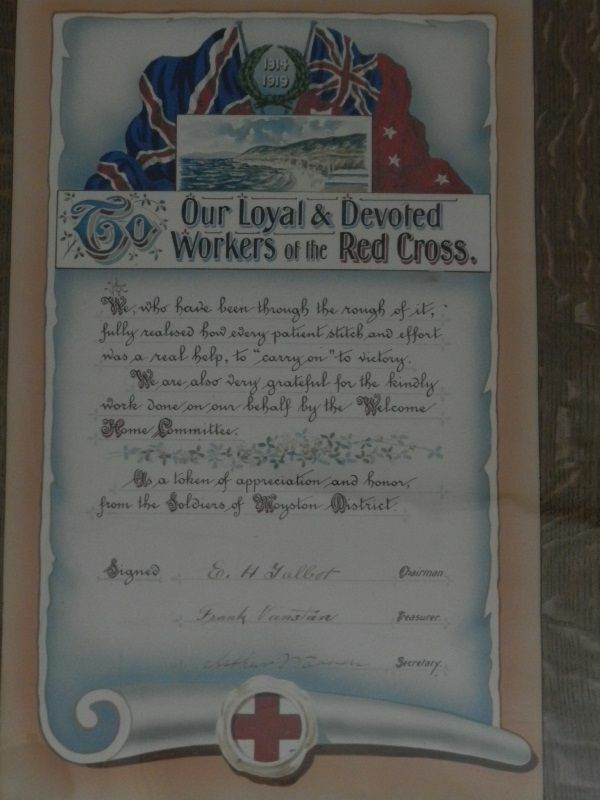 A hand written scroll provided by the soldiers of the Moyston District commemorates the work of the Red Cross during World War One. was a real help, to "carry on" to victory. from the soldiers of Moyston District.